Huawei’s new P30 series – the P30 and P30 Pro – were unveiled today at an exclusive launch event at the Paris Convention Center. 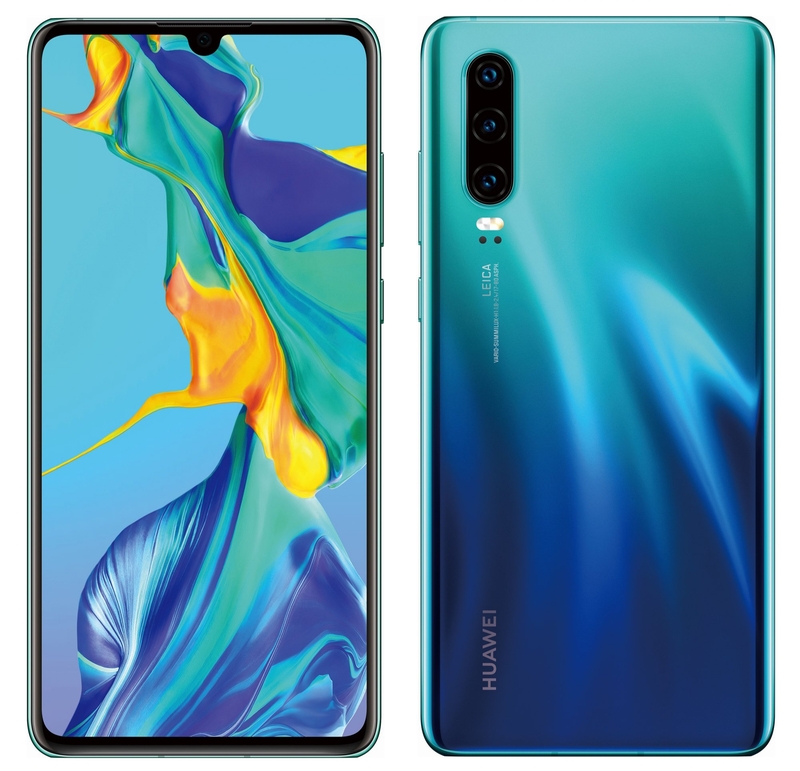 The new devices are the company’s most advanced camera smartphones to date and are able to rival professional cameras according to Huawei thanks to their innovative Huawei SuperSpectrum Sensor, an extreme optical Huawei SuperZoom lens, a new Time of Flight (TOF) camera, and better OIS and AIS image stabilisation technology. While most smartphone camera setups utilise an RGB or RGBG array, the P30 Pro uses a 1/1.7-inch Huawei RYYB (red yellow yellow blue) SuperSpectrum Sensor which deviates from the traditional RGBG Bayer filter by replacing the green pixels with yellow ones. This configuration yields a maximum ISO rating of 204,800 and 409,600 on both the Huawei P30 and Huawei P30 Pro. This fundamental shift in sensor technology – along with the use of larger pixels – means that Huawei’s new handsets will deliver unparalleled photography and videography experiences across a wide range of scenarios and lighting conditions. The wide angle lens has an f/1.6 aperture sensor which delivers brighter ultra-wide images thanks to its collaboration with the large RYYB sensor and Huawei AIS + OIS. Huawei has also optically stabilised the main and telephoto lenses to ensure that you have steady handheld shots captured with more detail than ever before. Incredible zoom functionality was one of the most highly teased features of the P30 Pro leading up to the launch and Huawei has delivered. The new SuperZoom Lens supports high fidelity magnification up to 5 times optical zoom, 10 times hybrid zoom and an incredible 50 times digital zoom, which it achieves through a periscope design which uses a prism element in the telephoto camera bends light at a right angle to maximise focal length while minimising camera height and without disrupting device design. Complementing all of this is Huawei’s AI HDR+ which gives the front and rear cameras the ability to combine multiple photos taken in quick succession to optimise overexposed and backlit selfies. There’s also a Super Portrait Mode which can capture tiny details down to the hair strands on a subject’s face. This mode combines depth information, 4-in-1 pixel binning and proprietary algorithms to produce outstanding images with a defocused background and a highly detailed subject, taking portraits to the next level. Still photography has evolved in leaps and bounds while smartphone videography has stagnated. This is set to change with the new rich suite of video features included on the P30 series which Huawei claims will usher in a new era of studio-grade videography. The SuperSpectrum Sensor enables spectacular low-light video capture so nighttime scenes come out crystal clear and Huawei’s AIS and OIS now support stabilisation for all video capture settings – including 4K videos at 60fps, while the SuperZoom Lens allows for crisp close-ups. There’s also an AI Movie Editor which automatically identifies action highlights and gives users the tools to add background music and special effects, such as time-lapse and slow motion. Pushing the boundaries even further, Huawei has introduced a Dual-View mode to bring a whole new perspective to videos. The Huawei P30 Series devices let you use two of the rear cameras to record different videos simultaneously and in Dual-View mode, you can capture both an ultra-wide angle clip and a zoom shot – offering a panorama on the right and a close-up on the left of the screen. Design has been one of the pillars of the P series and the P30 Series builds on this heritage. Taking Master architect Tadao Ando’s quote – “exquisite designs speak to the soul” – to heart, the P30 Series design is inspired by nature and the use of new and novel materials. 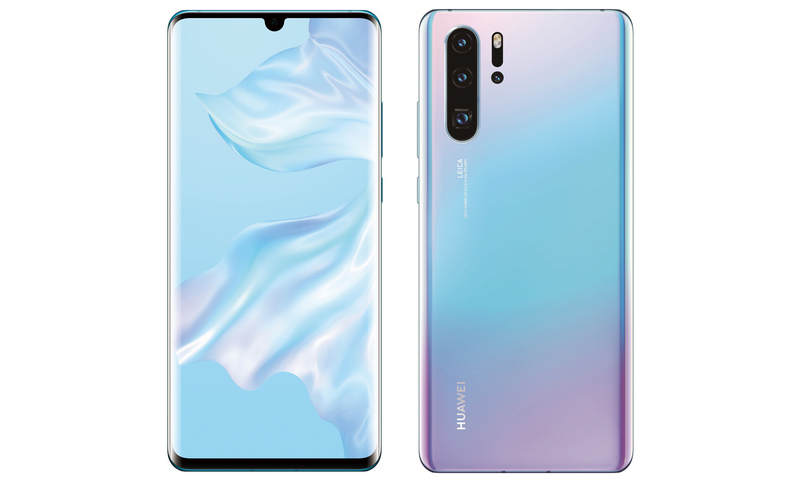 Both the 6.1-inch Huawei P30 and 6.47-inch Huawei P30 Pro are available in classic Black and three new gradient finishes—Amber Sunrise, Breathing Crystal and Aurora, created with a new high-yield inkjet process that Huawei pioneered. Opting for a Dewdrop notch instead of a hole-punch display, the FHD+ (2340×1080) display is uninterrupted aims to provide the maximum display area in an aesthetic, symmetrical front view. Camera and display might be the focus of the P30 series but that doesn’t mean that the company has neglected the overall smartphone experience. 40W supercharge and long-lasting battery mean these devices will go for more than a full day of intense work. The Huawei P30 series will be launched in South Africa on 3 April 2019 where colours, pricing and on-sale dates will be announced. We’ll be live from that event with all the local information about Huawei’s new flagship devices.